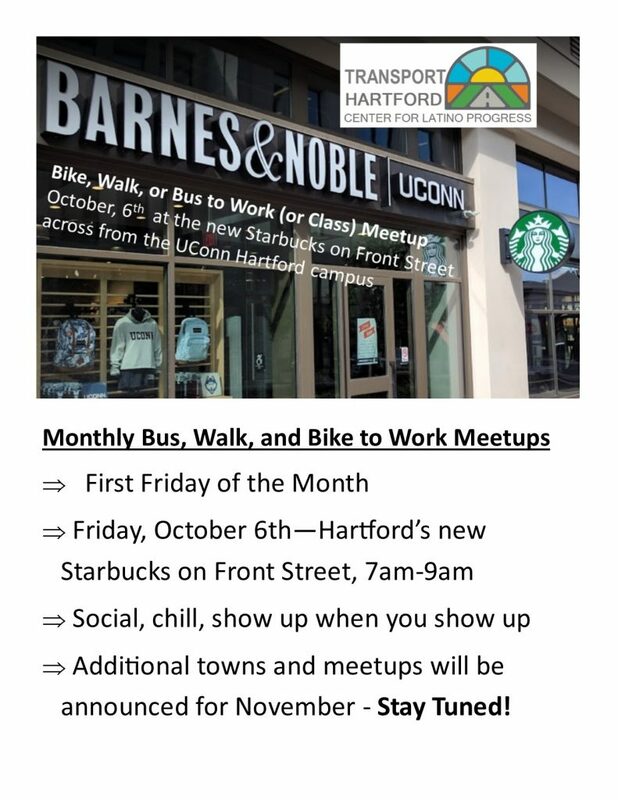 Walktober in Hartford! – There are walks scheduled all through October. More information here from our friends at The I-Quilt Plan. Friday, October 6th – Bus, Walk, or Bike to Work (and School!). 7-9am at the new Starbucks on Front Street next to UConn Hartford. Saturday, October 14th – Pedal to the Medal with Chion Wolf. 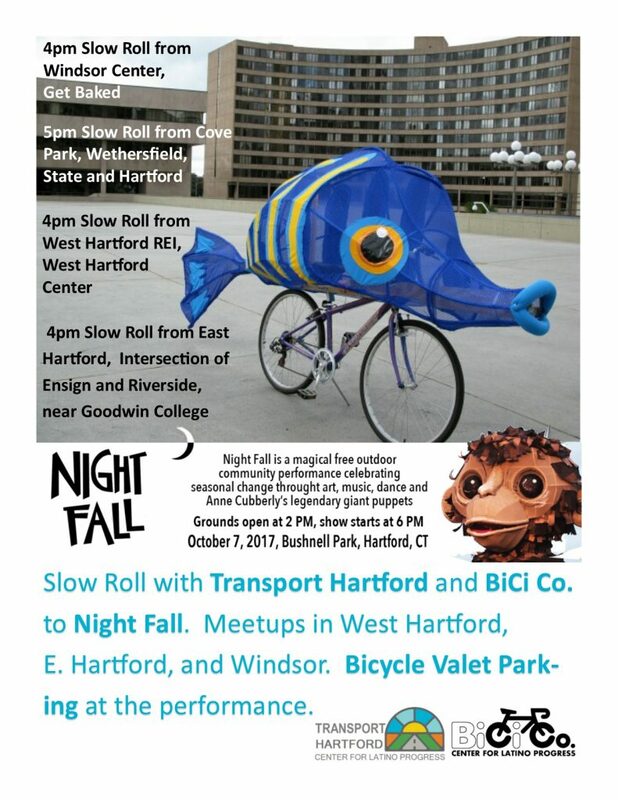 A group is meeting up at 4am to pre-ride the Hartford Marathon Route. Check out the FB Event. Low traffic, bike lights, and great friends! Tuesday, October 17th – Register here. The kickoff meeting of the BiCi Co. teen Earn-a-Bike program. This is an eight week program for teens from age 12-19, and they complete the program with an up-cycled bicycle they chose and repaired themselves. Friday, October 20th – Register here. Fewer stupid parking lots! 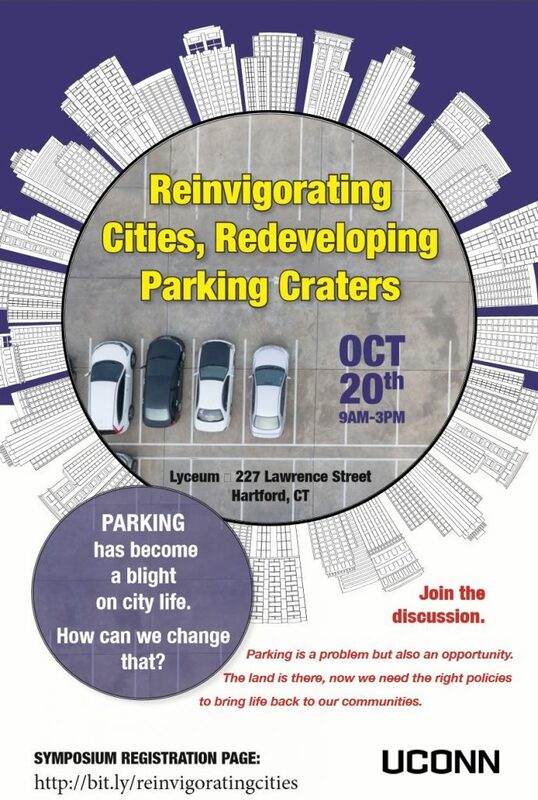 Reinvigorating Cities, Redeveloping Parking Craters, a symposium in Hartford at the Lyceum. Community members, use this code for free registration – COMPSYMP1. Friday, November 3rd – Bus, Walk, or Bike to Work (and School!). Locations and towns to be announced. Planning to add Manchester, East Hartford, West Hartford, and Storrs Center for meetups.